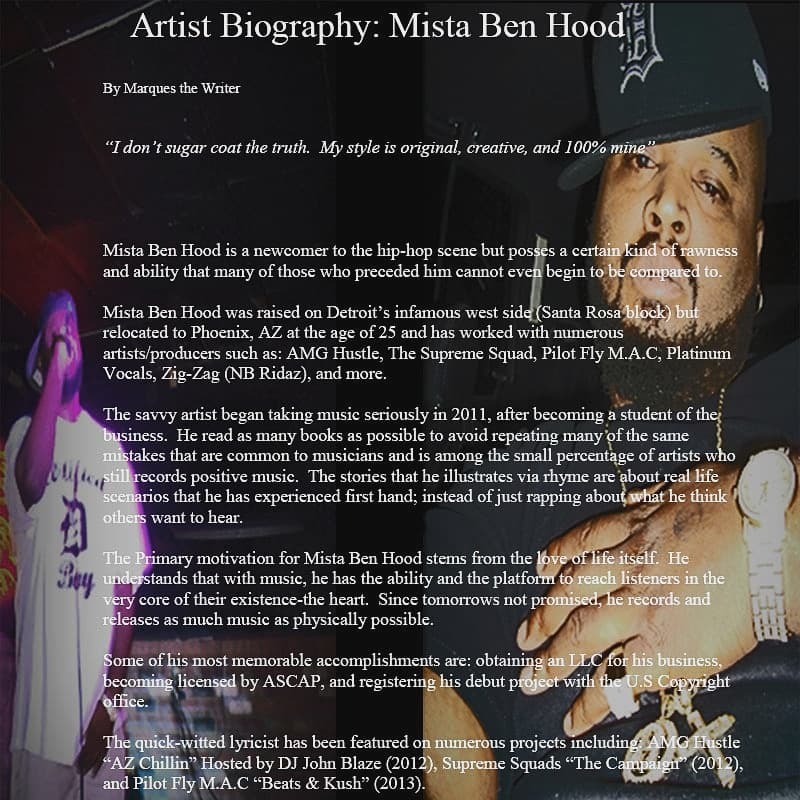 Mista Ben Hood has been a part of the hip-hop scene and been putting out music professionally since 2012; he possesses a certain kind of rawness and ability that many of those who preceded him cannot even begin to be compared to. 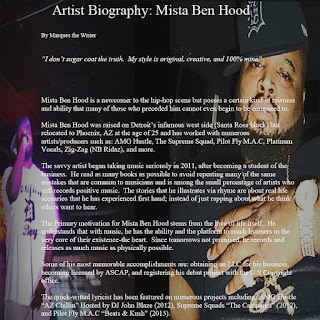 Mista Ben Hood was raised on Detroit’s infamous west side (Santa Rosa block) but relocated to Phoenix, AZ at the age of 25 and has worked with numerous artists/producers such as: AMG Hustle, The Supreme Squad, Pilot Fly M.A.C, Platinum Vocals, Zig-Zag (NB Ridaz), J.R.E., Mav (Soul Camp) and more. The savvy artist began taking music seriously in 2011, after becoming a student of the business. He read as many books as possible to avoid repeating many of the same mistakes that are common to musicians and is among the small percentage of artists who still records positive music. The stories that he illustrates via rhyme are about real life scenarios that he has experienced first hand; instead of just rapping about what he think others want to hear. The Primary motivation for Mista Ben Hood stems from the love of life itself. He understands that with music, he has the ability and the platform to reach listeners in the very core of their existence-the heart. Since tomorrows not promised, he records and releases as much music as physically possible. Some of his most memorable accomplishments are: obtaining an LLC for his business, becoming licensed by ASCAP, and registering his debut project with the U.S Copyright office. The quick-witted lyricist has been featured on numerous projects including: AMG Hustle “AZ Chillin” Hosted by DJ John Blaze (2012), Supreme Squads “The Campaign” (2012), and Pilot Fly M.A.C “Beats & Kush” (2013), Many MCs (2015). 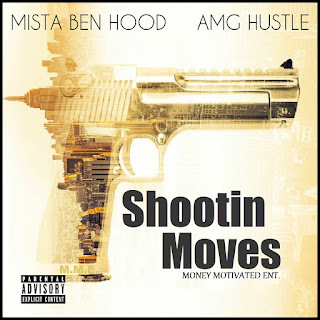 Mista Ben Hood has released three mixtapes: Shootin Moves (2017), Blue Magic (2015), which was nominated for an AZMT Music Award, and Strong Grind Volume 1 (2012), which was hosted by DJ John Blaze.